If you spent 30 years of your professional career investing other people’s money, what would you choose to do when you decide to take a step back? Most people would take the route of retiring and avoiding anything that looked like investment. Daniel Chan, the former Chief Executive of Lion Global Investors, is not like most people. 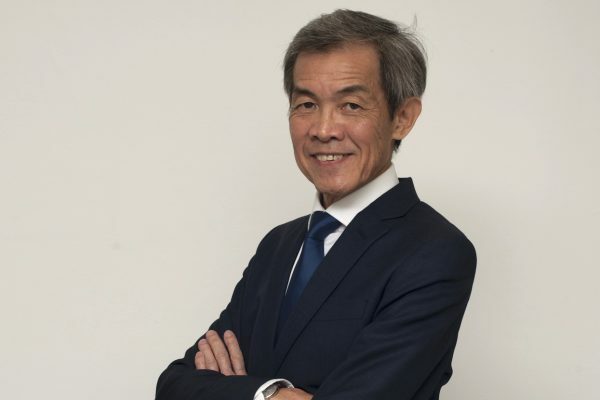 Chan’s illustrious career kicked off when he helped launch UOB’s asset management operations in early 1980s and set up UOB Asset Management’s first unit trust in 1986. Chan continued with UOB Asset Management until 2004 when he was handpicked to join OCBC. Chan spearheaded the merger of two asset management operations within OCBC – OCBC Asset Management and Straits Lion Asset Management – to form Lion Capital Management (later renamed Lion Global Investors). After Chan stepped down from his role in Lion Global Investors in 2010, he set up DCG Capital to return to what he enjoyed most: investing. “When running a big corporation, even as the CIO (Chief Investment Officer), a big part of what I had do was spent doing things other than investment. I had to manage a lot of people, manage a lot of administrative work, so it was quite draining and took the fun out of the job. So I want to go back to managing investments, and look after my own savings which had been neglected all this while. It kills two birds with one stone,” said Chan. Admittedly, Chan was not entirely sure how the fledgling business would take shape, but he knew from the start that he only wanted to invest using Warren Buffett’s strategy of value investing. “Frankly, that’s the only way I know how to invest. If you do any other thing, it would constitute speculation,” he said candidly. In order to execute his vision, Chan had to put together a strong investment team who held the same ideals. That’s how he came to invite Melvin Tan, Alexis Tran and Tan Teck Jin to join him at DCG Capital. The team of four have a collective investment experience of nearly 8 decades, and all of them are passionate value investors. DCG Capital launched its DCG Asia Value Fund in September 2011, a a long-only equity fund focused on Asia ex-Japan equities, with a value investing mandate. Value investing is an investment strategy first mooted by Benjamin Graham, and popularised by billionaire investor and Berkshire Hathaway founder: Warren Buffett. The strategy focuses on finding good businesses and investing in them when they are priced below their intrinsic value. DCG Capital sits in a sweet spot between an institutional fund managed by large investment firms, and a typical boutique fund, because all four members of the investment team are shareholders of the company, and are co-invested in the fund, along with their customers. The term “institutional imperative” was coined by Buffett in a letter to Berkshire Hathaway shareholders in 1990, defined as the “tendency of executives to mindlessly imitate the behaviour of their peers, no matter how foolish it may be to do so”. That means DCG Capital can offer the same level of experience and expertise as institutional fund managers, yet have the agility to make investment decisions quickly as a boutique fund, because they are unencumbered by legacy processes and policies. With its value investing approach, DCG Capital’s investment team can also afford to take a longer term view on their investments. Chan’s personal investments currently consists of some convertible bonds which he invested in during the 2008 Global Financial Crisis when prices had taken a beating, as well as a number of dividend yielding Singapore real estate investment trusts (S-REITs). However, his single largest investment is in DCG Capital’s flagship DCG Asia Value Fund. “A significant part of my liquid net worth is in this fund,” he said, adding that he and his family, makes up the third largest investor in the fund. The DCG Asia Value Fund, which is available only to accredited investors, has a minimum starting investment amount of $150,000 and is offered as SGD A Class shares and SGD S Class shares. The S Class shares have no annual management fee, but charge a performance fee of 20% above High Water Mark, and an initial account opening fee of $2,000. The A Class shares charge a 1.25% annual management fee and a performance fee of 12.5% above High Water Mark. Learn more about the DCG Asia Value Fund here. To find the right stocks to invest, DCG Capital’s team runs various stock screens to identify companies that are high quality and have cheap valuations, out of an investment universe of over 10,000 companies. High quality companies, as Chan explains, are companies whose business models can been verified by an outsider. Is it a cyclical business? Do they have any sustainable competitive advantage? What is the competition landscape like? Is it a big industry? Is there growth in the industry? Is the company overpriced or is it cheap? Once a company is found to fit the bill, it becomes a part of the monthly investment meetings when the portfolio is reviewed. If another company within the portfolio is found to be underperforming, it may be replaced by one of the newly highlighted companies. “We are always keeping track of quarterly results to get a sense of what’s happening with the company’s operations, and whether the investment thesis is playing out to our expectation,” said Chan. However, Chan quickly points out that while the portfolio is monitored closely, that does not translate into frequent investment trades. “We make a discipline of making monthly sell meetings just to make sure that things are fresh, and to ensure nothing is deteriorating without us being aware of it. At the same time, we try to avoid unnecessary expenses, and that includes trading expenses. Since the fund’s inception, it has produced returns of 79.3%, compared to the MSCI AxJ SGD index, which had a return of 78.3% in the same period, and the journey has been anything but dull, with its fair share of winners and losers. Some of its winning investments included Indonesia ceramic tile maker Arwana Citramulia where the fund took profit at over 5 times their investment, and Guizhou Moutai which was oversold after the Chinese government’s clampdown on corruption and whose share price has since risen five-fold. On the flipside, one of its losing investments is DBA Telecom, a Hong Kong based company providing self-service vending machines selling pre-paid mobile phone cards. The company admitted to falsifying its numbers and its shares are still currently halted. DCG Capital wrote off its investment in the company and is now constantly on the lookout to prevent a repeat of its mistake. “I think you always have to be alert to the danger of fraud,” said Chan candidly. “Even audited financial statements cannot be trusted, so we try to find ways to validate or triangulate the information, and be on the lookout for companies with better business models that can be resilient. Sometimes the biggest mistake investors can make, Chan says, is not investing in a company like DBA Telecom but in not investing in companies that had potential. Chan had the opportunity to invest in Starbucks in the early years, and still regrets not putting his money in it at the time. “The cost of missing out something that grew 20 to 30 times, over 10 or 20 years, is a lot more than the loss you suffer when you make a bad investment. But most people don’t think of it that way,” Chan explained. So what advice does Chan have for new investors? Investment requires a lot of due diligence, a lot of study, and buying with a healthy margin of safety. That means the price you buy at, has to be at a significant discount to the value that you are appraising it at. Speculation is anything else but that. Don’t just trade in and out of the market, be disciplined. Quality can mean quality of business, quality of management, quality of the balance sheet, quality of the cashflows. Earnings and cashflows are two very different concepts, and you should focus on cashflows, not earnings. Try and be very selective in your investments. Then, when you find the right ones, then be prepared to commit a lot of your investments in those few, rather than spread it out too widely. Read widely, and read about the investment gurus who have written books about their investment strategy. Chan’s list of recommended books for beginner to advanced investors can be found here.